William Kimber, 1975, Hardback in Dust Wrapper. Condition: Good+ — in Good+ Dust Wrapper. Dust wrapper a little rubbed at the edges, heavily faded at the spine. Price Clipped. Previous owners' inscription to the pastedown. Text complete, clean and tight but a little age-tanned. Illustrated with black and white photographs. From the cover: “Margaret Thatcher is the first woman to lead one of Britain’s major parties and so be a potential Prime Minister. Since her election as Conservative Leader she has talked at length about herself and her life to George Gardiner, Conservative MP and former political correspondent. 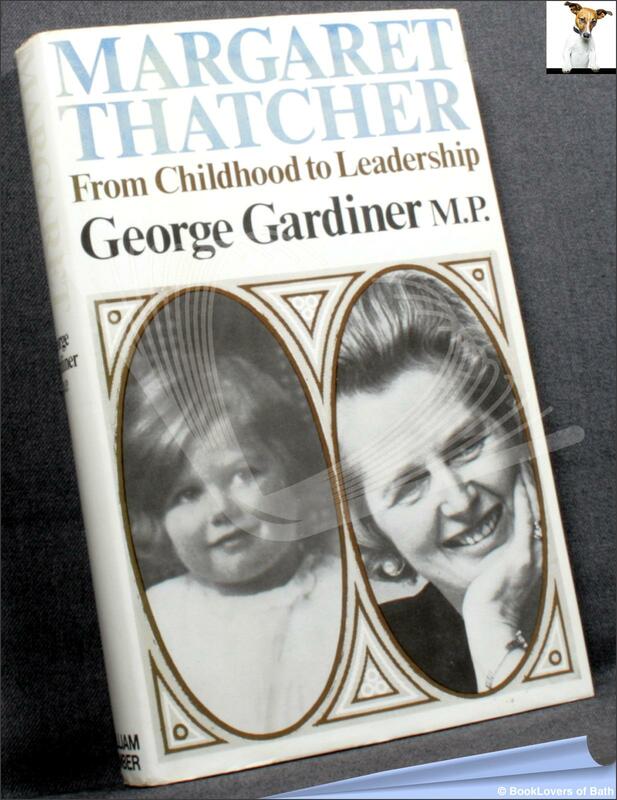 On the basis of these recorded conversations, others with her family and friends, and his own experience in Parliament, he has written this authoritative account of Mrs Thatcher’s private, professional and public life. Mr Gardiner vividly describes her childhood in Grantham, the values she acquired from her parents and her life as an Oxford undergraduate. He tells of her early election battles, her family life and first years in Parliament, and assesses her achievements as Education Secretary in the 1970-74 Government. Finally, he describes the declining months of Edward Heath’s leadership, traces the steps which led to Mrs Thatcher’s election in his place, and gives a revealing inside account of the 1975 Tory leadership battle. Size: 8¾" x 5¾". Blue boards with Gilt titling to the Spine. 235 pages.